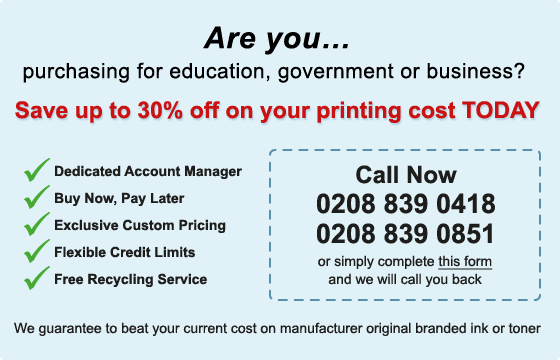 999inks.co.uk allows you to order high quality ink cartridges online. Whether you need a specialist ink cartridge for a business printer or a replacement toner for your home printer, we have all your ink needs covered. And because we know how fast you need your ink, we’ll dispatch your order on the same day. So give us a try. The extensive range you need. The first step to getting you your ink? Having the ink in the first place. That's why, whenever you shop with us, we'll have over 350,000 products for more than 50 printer brands in our warehouse. That way, we can find and dispatch your order right away. We carry ink for the most popular printer brands, like HP, Brother and Canon, but we also have cartridges for specialist printers like Star, Zebra and Neopost. We offer both original equipment manufacturer (OEM) cartridges, as well as the more budget-friendly compatible cartridges. And we have a range of office supplies, so you can keep your cupboard well stocked at all times. We get you the ink you need fast! At 999Inks, you get speedy delivery with customer service at its heart. Our great-value compatible inkjet and toner cartridges are manufactured and tested to meet the highest standards, so you can buy with confidence. 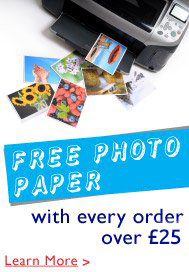 We offer same-day dispatch and fast, free delivery, so you get the ink you need now. Our site is easy to use, with a clear layout and simple search function, but if you need more help, you can have a live chat or call our customer service team on 0845 257 5100. "For us as a company, the ink we use is most important. Having over the years tried many other suppliers and been disappointed, we have decided to use 999 Inks only." 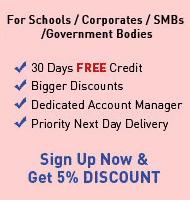 "Easy ordering process and fast delivery. Not to mention great offers on price!" "Absolutely brilliant. Never had a problem with any cartridges bought. Highly recommend to anyone unsure about using non-manufacturers' items." "Great company to deal with, fast delivery, great customer service and great prices. What's not to like?" "Great product, really quick delivery and cartridges always work with no problems – great price, too." "I would definitely recommend 999 Inks to friends & family. Good value for money, delivery service is excellent & quick. The postal packaging is great, too. Brilliant, thanks!"